So this is happening...I'm offering a free knitting pattern for an infinity scarf and we'll knit it together! I wanted to show all the beginners out there that you can knit something trendy without having to worry about circular needles, increasing, decreasing or any complicated stitch pattern. Are you excited? Before we can get started, it's best to make sure you have the right tools and supplies. Since I'll be posting the free pattern next week, I wanted to give you all a heads up so that you'll know what knitting needles and yarn you'll need. For my needles I'm using 14" long straight size 10 US bamboo ones by Takumi. 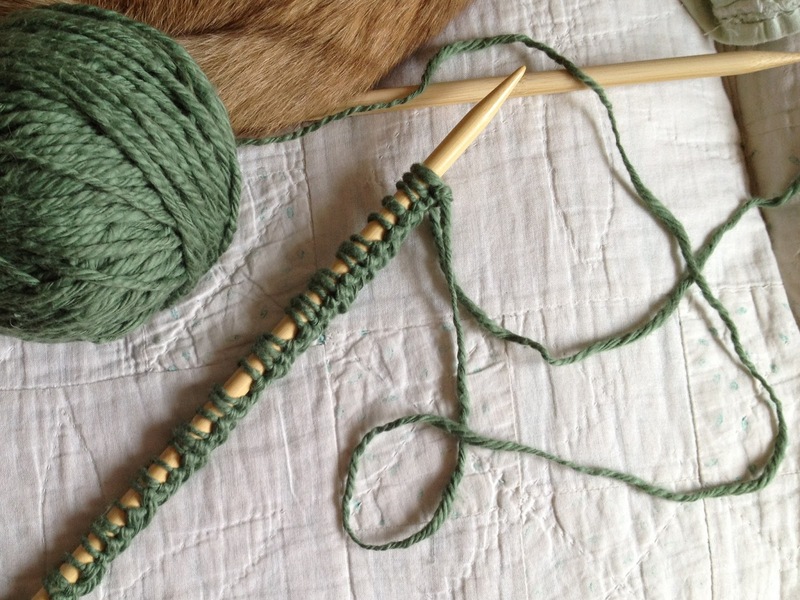 It's my first time using bamboo and although I was hesitant to buy them, I'm really loving knitting with them. Please feel free to use whatever size 10 US knitting needles you have on hand as long at they are at least 10" long. If you're buying yourself a new pair of needles for this project, try the needles on in the store...how do they feel in your hands? Choose a pair that feel nice to the touch and have a smooth surface. Bamboo, plastic, or metal it doesn't matter. 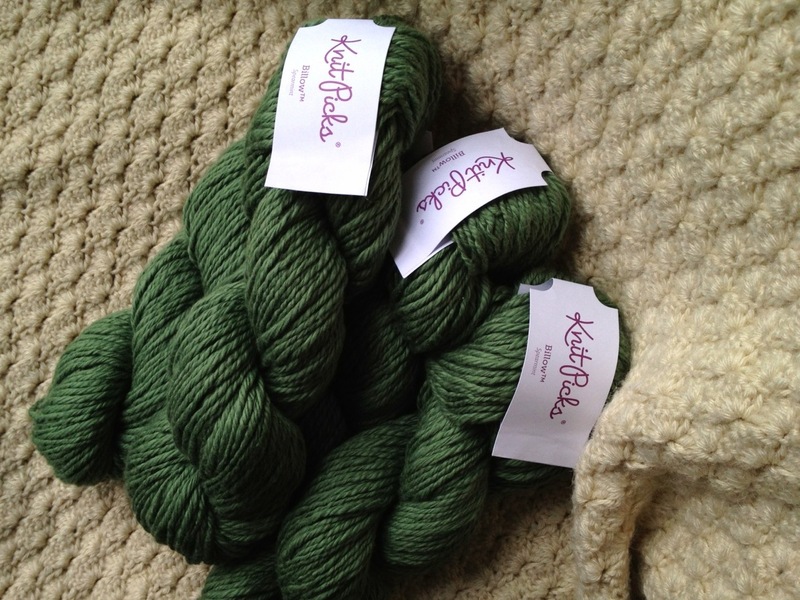 Billow is a lovely bulky super soft pima cotton yarn from a company called KnitPicks. 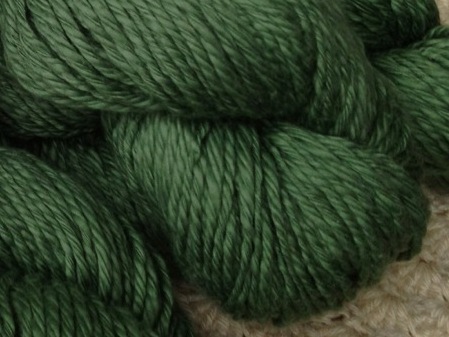 They offer great quality yarn for a fair price (I searched all over and even with the shipping their prices still beat out many large retail locations where you can buy yarn). Because the yarn is cotton it has a very organic / natural feel to it and is perfect for spring, summer and fall knitting projects. I chose this yarn for its thick and thin texture which when knit gives it a bit of an uneven look. This is a great way to camouflage any unevenness in tension that is common when learning how to knit. So, for best results I recommend using the same yarn I've used for the pattern unless you're a more experienced knitter who is comfortable with substituting. Knowing what you'll need to start your knitting project is half the battle. The other half is knowing the basics of knitting: casting on, knitting, purling, and casting off. Remember when starting any knitting project, to find out what supplies you'll need first. What size and type needles do I need? What weight of yarn do I need? The answers to these questions will tell you not only what supplies you need to start your project but ultimately what you'll need to buy if you don't have what you need on hand. A quick scan of your pattern will give you the answers to the above questions and you'll be ready to start your project in no time. 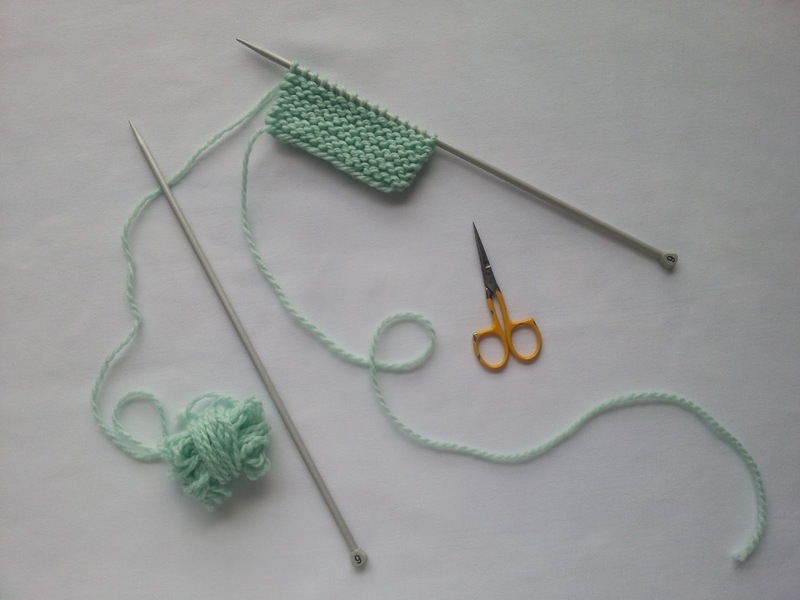 Want to try knitting for the first time? Or are you just looking for an easy trendy knitting pattern? I hope you are as excited about this knit along as I am! I can't wait to share photos and talk about the progress we've all made. If you have questions about the knit along tweet me @tinselmint or leave a comment below. And if you happen to be on Instagram tag pics of your supplies for this project with @tinselmint. 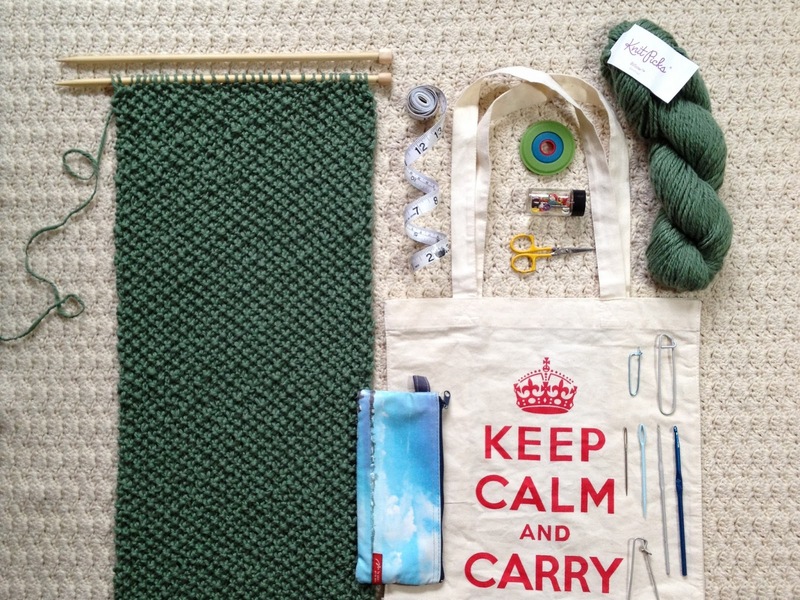 WHAT'S IN A KNITTING BAG? One thing that is essential to any knitter is a bag to house their knitting project. You know the one that sits next to your couch or favorite chair and can be toted to and from just about anywhere. But perhaps even more important is what's inside that project bag. If you're new to knitting you may be thinking "what's in a knitting bag besides yarn and knitting needles?" The truth is a lot! There is a whole other world in there. It's filled with tiny bottles, cases, sharp things, pretty things...key tools for any knitter. Have I peeked your interest? Here is a peek inside my current knitting bag. I say current because as any knitting addict knows, there's not just one. Yes, I have multiple project bags which also means I have more than one project on the go at one time. But that's a whole other blog post in itself. I love picking out fun totes to carry my projects in...I got the one above for Christmas from my friend. 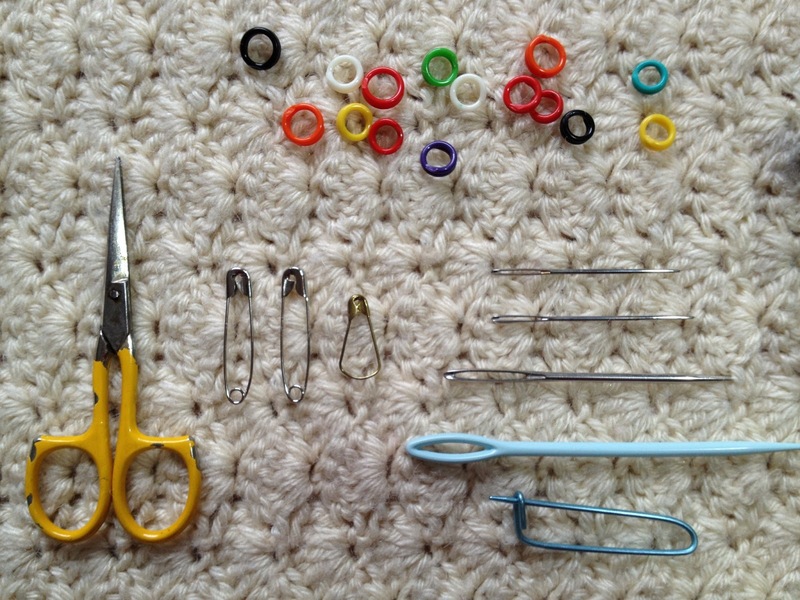 Every knitter will have their own preference of what goes into their project bag. These are the tools that help you get the job done so they will vary depending on the type of knitting project as well. These are all key tools and each has a purpose. The measuring tape and pom pom maker are pretty much self explanatory, one measures things the other helps to make pom poms. 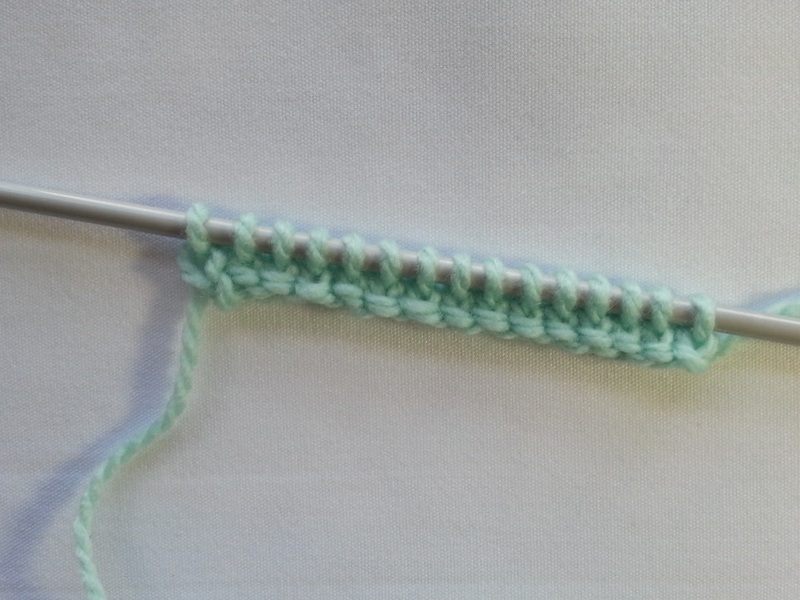 Crochet hooks can be used for several things like picking up dropped stitches and casting / binding off. I use a needle gauge to check the size of my needles and measure the gauge of my knitting project. Stitch holders hold stitches when you're not working on them, but you can also use scrap yarn for this. Stitch markers come in many sizes. They slide onto your needle and mark a place for you like where a pattern in your knitting starts and stops. Scissors are handy for breaking / cutting the yarn at the end of your project and trimming ends that have been darned in. Safety pins are another multipurpose item. I use them for marking the front of my work and holding stitches. And last are the darning needles. I always keep a variety of sizes to match the size yarn I'm using. They are using for weaving the ends of yarn into your finished project. It's always helpful to have a pen / pencil handy for making notes when working on a pattern or for keeping track of how many rows you've worked. Alternatively you could use a stitch / row counter. Highlighters I use when working on a stranded or fairisle pattern. I like to highlight each row once I've completed it. Sticky tabs can be used to instead of a highlighter to mark which row your working on. They are great because you can easily stick them and then remove and re-stick them to where you left off in your pattern. I like to keep everything tidy and not just floating around the bottom of my bag. This is where small pouches, bottles and cases come in handy. The smaller items fit inside an old glass pill bottle. It's clear so I can easily see the contents. The small bottle and larger items I like to house in a zippered pouch I brought back from Japan. The pretty scene reminds me of warmer weather when I'm knitting cold weather accessories. What's in your knitting bag? If you don't have one already I hope this inspires you to start knitting! 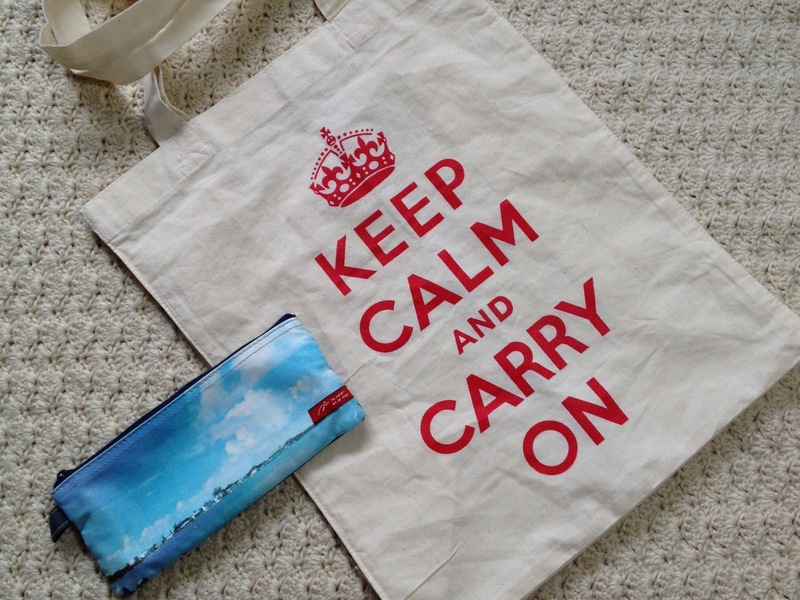 Get your bag on and post a picture. I'd love to see it! Tweet me @tinselmint or post a comment below. I strongly believe in the importance of finding happiness is our everyday lives and celebrating it. Some of our greatest joys are the simple things in life! I'm sitting here writing this post and I have to admit my apartment is a bit chilly. Its springtime and I have the windows open airing out the place despite the spring showers and chilly breeze. It's funny how only yesterday I was soaking up the spring sun and enjoying twenty-six degree weather. Thinking about the lovely day I had yesterday has reminded me of how important it is to celebrate these small joys. Today I'm enjoying a warm cup of tea, mail and new yarn! 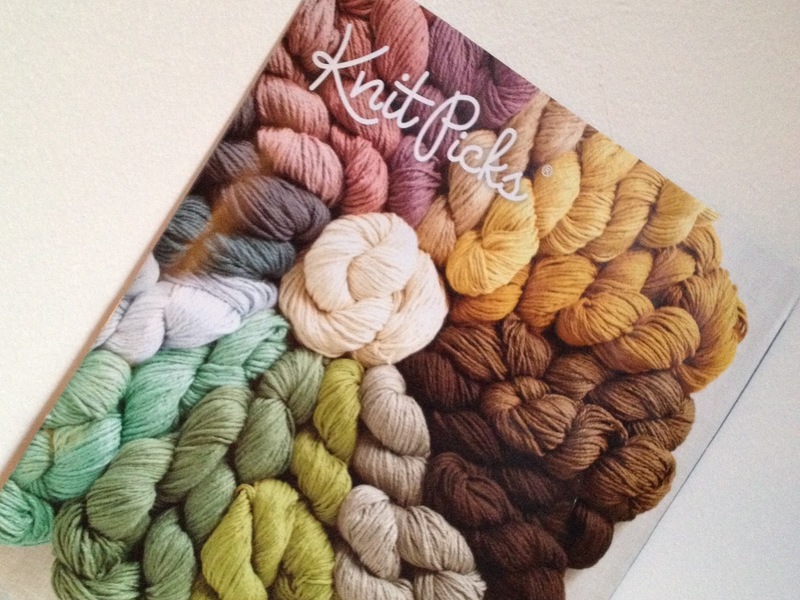 Last week I got the latest KnitPicks catalogue in the mail...the yarn in there is dreamy! The one featured on the cover, Billow, is my current favorite. I ordered it in spearmint and it just arrived! I can't wait to start knitting up this super soft cotton. Mail and new yarn are definitely putting a smile on my face today. I'm really looking forward to this weekend and getting started on a new knitting project. I'm hoping to turn these lovely spearmint (my pictures don't do the colour justice) thick and thin pima cotton skeins into an infinity scarf that will be perfect for the weather we're having. Is anyone interested in doing a knit along? I'll be posting the details soon and yes it will be super simple and easy to knit. What makes you smile? Has something brought you happiness today? I would love to here what you're celebrating in your life today! Tweet me @tinselmint or leave a comment below. One thing you may not realize when you start out knitting is that size matters! Well when it comes to knitting needles and yarn that is. 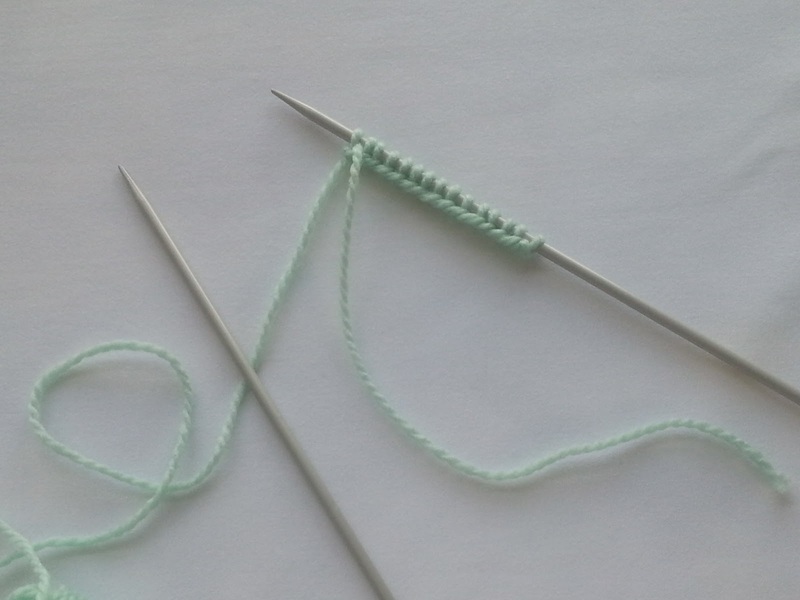 Every yarn has an ideal needle size that you should use when knitting. Understanding yarn and needle standards will help you choose the right size yarn for your needles and vice versa. This will ultimately help make you a better and more knowledgeable knitter but also come in handy when trying to attain the correct gauge (this is something I'll talk about in a later post) for your knitting project. There are six categories when it comes to yarn weight: lace, super fine, fine, light, medium, bulky and super bulky (Japan breaks it down even further by splitting the lace category in two making seven categories in total). The chart below shows the different yarn weight categories, the type of yarn that falls under each, recommended needle sizes for each, and estimated stitches in a four inch knitted swatch. Because knitting is a worldwide trend, you'll come across patterns from many different countries and that means they'll call for needle sizes that are unfamiliar to you. 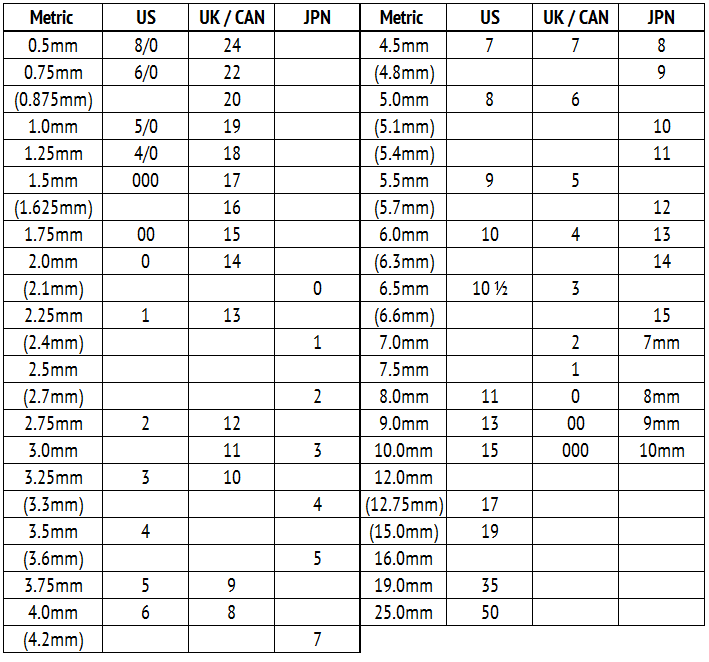 Here's a chart that compares metric, US, UK/ Canadian, and Japanese knitting needle sizes. I've tried to make this as inclusive as possible as tinselmint has readers from all over the world. If I've missed something, please don't hesitate to e-mail me using the link on my sidebar or leave a message in the comment section below. I'm always interested in learning more about knitting and what is common in other countries. What's something new that you've learned recently? I love teacups! Which makes sense because I love tea and pretty much anything vintage! I tend to use them most when I have company and for special occasions like birthdays or holidays, but I always have them on display as their beauty is part of their charm. Collecting them has become a hobby over the years and whenever I'm at an antique store / market I've been known to make a bee-line for the teacups. My very first teacup was one I inherited from my Grandmother. It has a bit of an Asian flare to it (the hand painting reminds me of Japanese watercolour postcards). Years later, I traveled to Japan, and it now serves as a pleasant reminder of my Grandmother and my years abroad. Seeing the collections of others has helped inspire mine. I see one I like and I'm like "oooh, I have to have one like that". 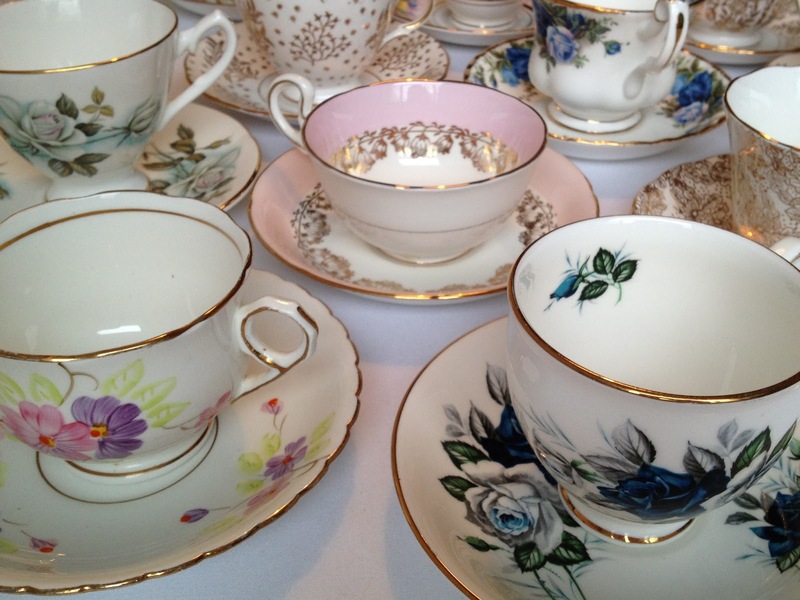 It also keeps me from buying every teacup I find, as I'm on the hunt for the perfect one to add to my collection. I'm currently on the hunt for one with birds on it. 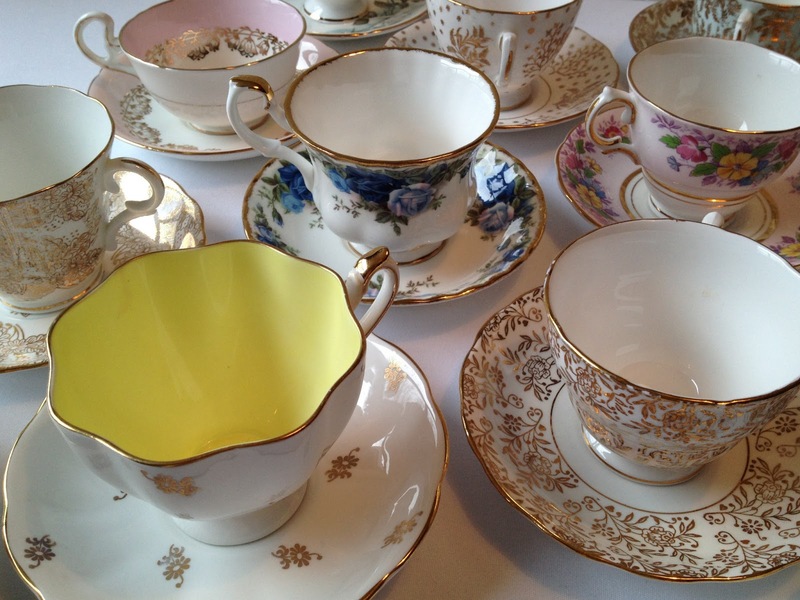 Teacups are all about mixing and matching and I love that! 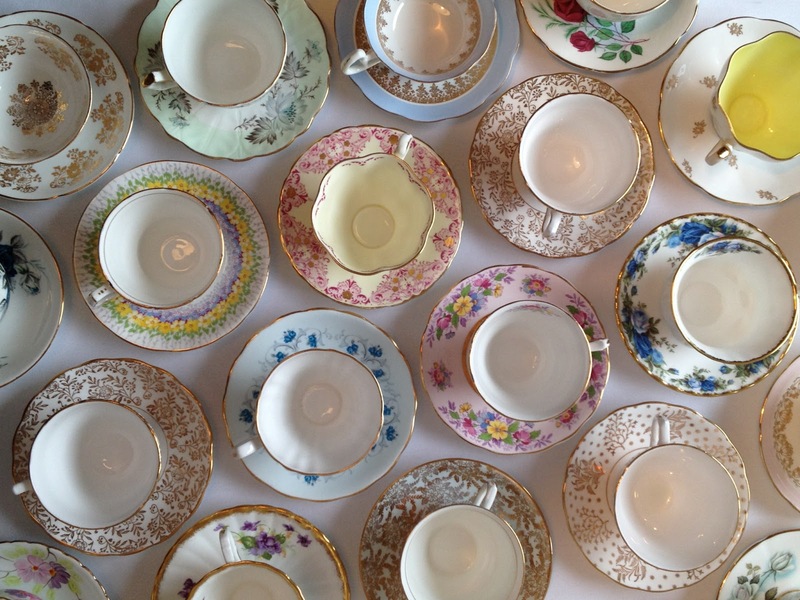 The variety of your cups and saucers lends to their pretty aesthetic when they're all put out on the table for tea. Want to start your own collection? 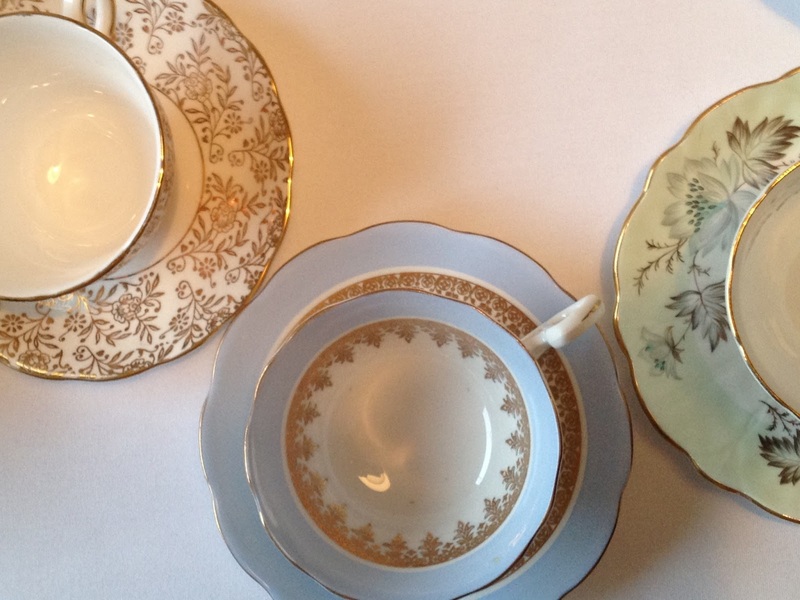 Although some teacups can be pretty pricey, they don't have to be. 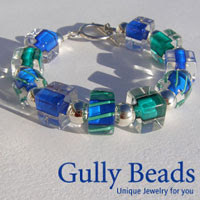 They range in price from upwards of a hundred dollars or more to as little as two dollars. From my experience, a pricey teacup may indicate a well known brand and a high quality china or possibly a rare or unusual design, while a cheaper find may be just as good quality-wise but from a lesser known brand and perhaps sport a more mass produced design or pattern. 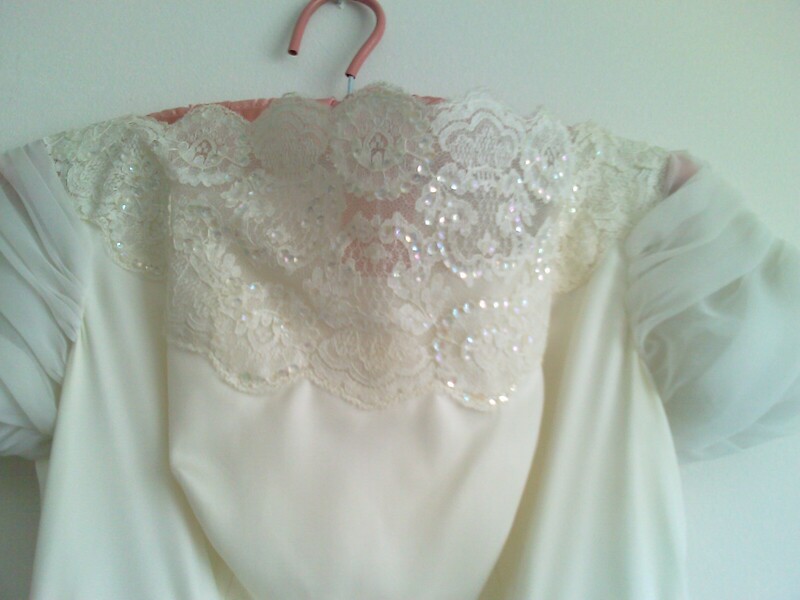 Don't fret, you can easily score one of these vintage pieces for a reasonable price. All the teacups in my collection I've managed to get for two to fifteen dollars each, but some were lovely gifts from friends and family. Adding a new cup once or twice a year means this an extremely affordable collection. Some of my favorite makes are Colclough, Chelsea, and Royal Malvern. The rest is up to you. Do you like the design? Do you like the colour? Don't buy it if it doesn't speak to you. Do you already have a collection? Post a link to a pic of your favorite teacup, I'd love to see it! Hope you enjoyed seeing my collection. Want to be notified when my next post is up? Follow me on BlogLovin' to keep up to date with all my posts. 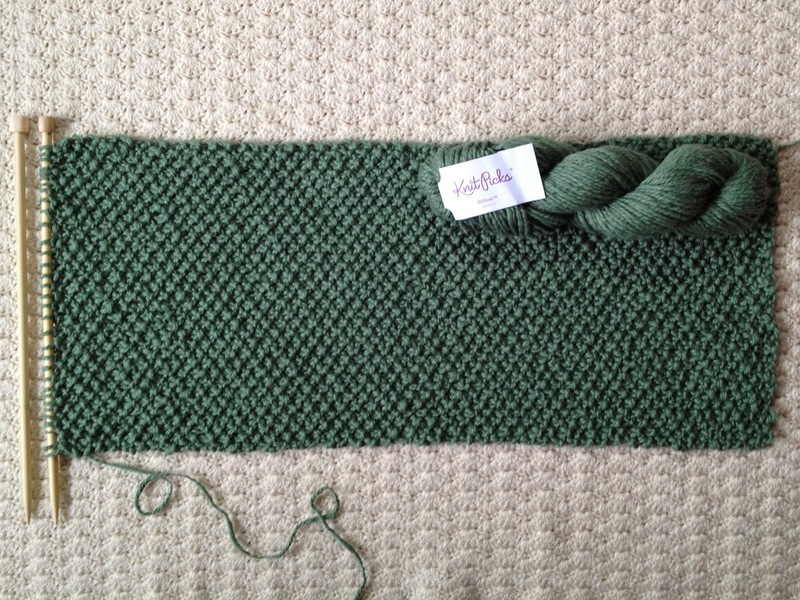 Casting off, also called binding off, is the fourth step in learning the basics of knitting. If you missed the first three you can find them here: casting on, the knit stitch, and the purl stitch. Learning how to cast off completes your work by creating a finished edge. The technique that is best for beginners is the plain cast off. This is by far the most used and most basic method out there. Choosing to knit or purl when casting off will depend on the stitch pattern you've chosen as you'll want to work the stitches in the same way they were formed in your pattern. This is something to consider once you've advanced to stitch patterns beyond just straight knitting or purling. With the basics you now know, what will you knit? If you choose something too difficult it may leave you feeling overwhelmed and discouraged. Remember that knitting should be fun so choose something simple for your first project and don't forget to let us know how you did. Leave a comment or tweet us @tinselmint. Be sure to follow us on YouTube for more how to knit videos. The knit stitch is the first of two fundamental stitches in knitting, the second being the purl stitch (but I'll get to that later). Learning this is the second step in learning how to knit. If you missed the first step, check out my post on casting on for beginners here. 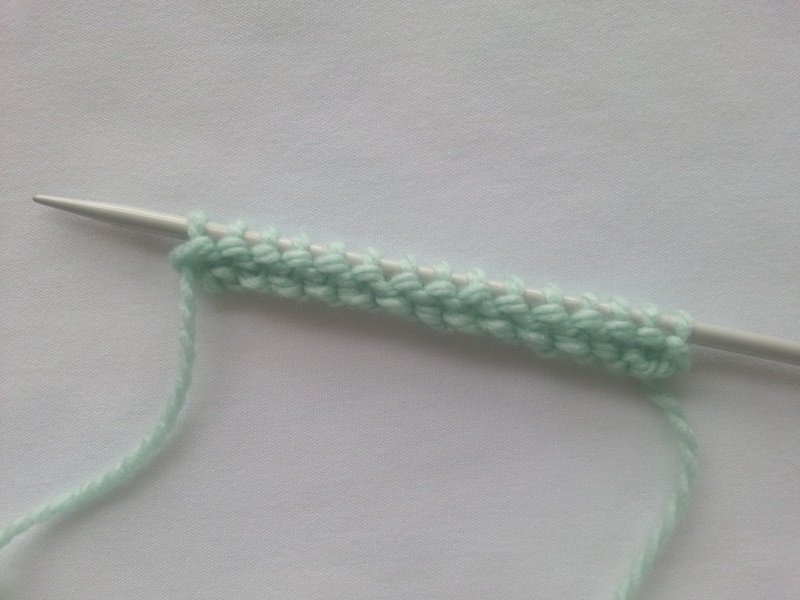 Literally every stitch pattern in knitting is based on varied combinations of the knit and the purl stitch. So, once you've learned these two the sky's the limit! 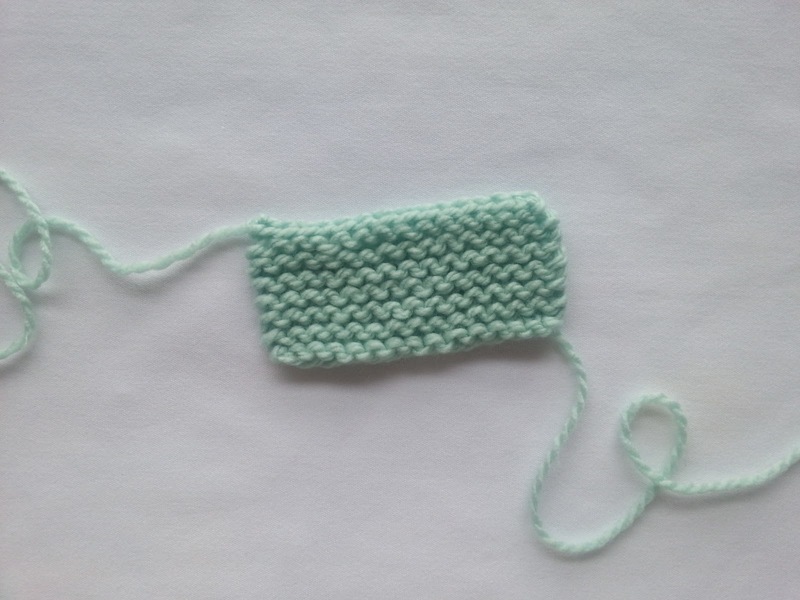 knit stitch - a flat vertical loop with a "v" like shape, also known as knitting and abbreviated as "k"
Holding your yarn will take a little time to get used to. Don't worry! There's no right or wrong way to hold your yarn no matter what you've heard. Yes, there are "proper" ways that aim to help you keep a steady tension but ultimately if it doesn't feel right your stitches will end up uneven anyways. What will work best is what feels most comfortable to you. It's easier than casting on, right? Leave a comment below and let us know how you did or give us a shout out @tinselmint on twitter. Be sure to follow our YouTube channel and be the first to see our next how to video on purling! For anyone who wants to learn how to knit, learning how to cast on is the first step. With a quick internet search, it's easy to see the techniques for casting on are as numerous as they are varied. The double cast on is the best method to get you started. This method is known by many names (double, long tail, continental, sling shot, two-strand, and y cast on to name a few) but is easy and is suited for almost any project. If you're a lefty or a righty it doesn't matter, the steps will be the same. Grab your knitting needle and yarn! what size yarn and needles should I use? how many stitches do I need to cast on? how long should my tail / short end be? So that's it! It's that easy! How did you do? Let us know by leaving a comment below or on twitter @tinselmint. Be sure to follow our YouTube channel for more videos on how to knit. Welcome to tinselmint where something old meets something new! 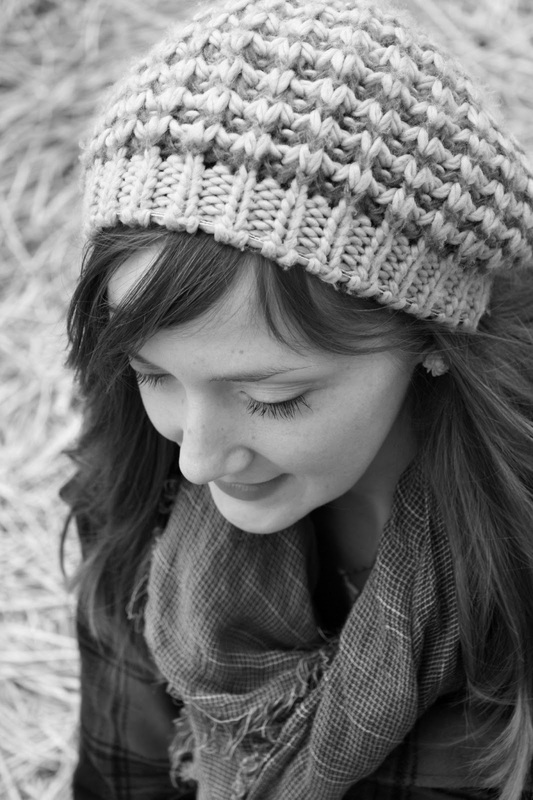 My name is Michelle and I love knitting, tea and pretty much all things vintage. You could say I'm old fashioned but honestly these three things just never go out of style. Knitting has been around for centuries. Developed through need and necessity, its function and style have no competition in the fashion world. This is one craft that has stood the test of time and won on the runway and at home! 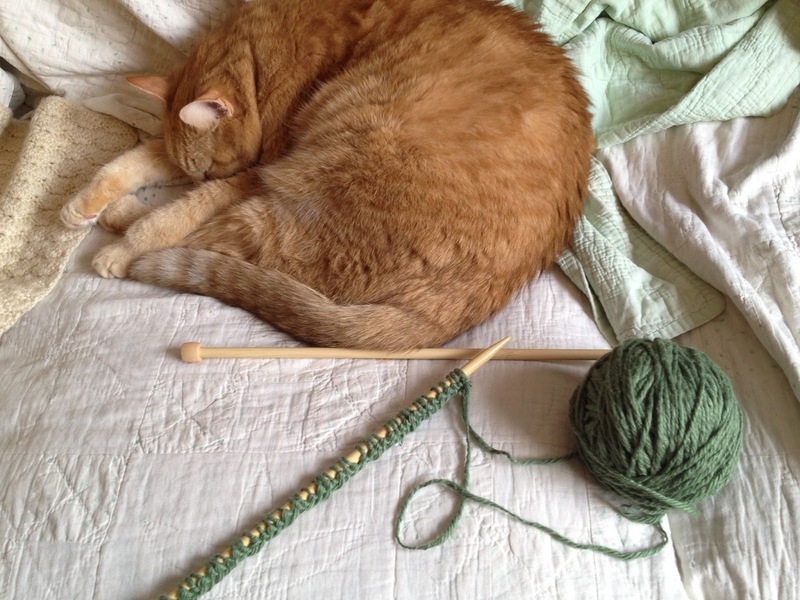 Learning how to knit on your own can be difficult, but not impossible. I'll be posting how to knitting videos to help make the job a bit easier and I'll also feature knitting patterns that are all the rage right now! Like knitting, vintage style is hot right now. I love using vintage finds in my everyday life. Incorporating vintage items into your home or closet can be rewarding, knowing that you're giving new life to something that has outlived its past owner. Whether its vintage china, a crocheted afghan, milk glass, a 50's style dress, or a vintage radio what's old can always become new again. Tinselmint will showcase how I've re-purposed vintage items in my home and some fun DIY's with vintage inspiration! 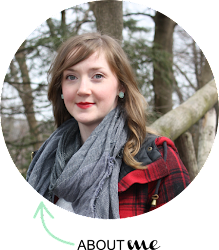 Follow me on twitter @tinselmint or on BlogLovin' for all my latest posts!